Following his 2004 Gallery 2 exhibition, we are very pleased to present José Lerma's first solo exhibition in the main gallery. In a thicket of charcoal, lush and washy paint and nearly untouched passages of bare space, tropes from art history mingle with Lerma's own prior artistic endeavors. Autobiographical material - tales of humiliation, desire, humor – presides in the details. The subject and meaning of each reference are interlaced through drawn images, the frequent layering of which nearly obliterates the original. 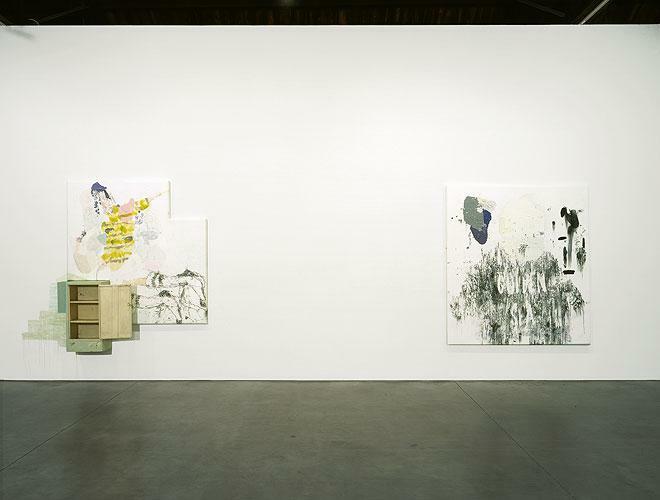 Additional content is literally embedded within the work via a transfer of pigment from magazine pages, paper memorabilia and the surfaces of objects, applied either directly to the canvas or as a tinting agent in white paint; the result is a direct transcription of surface (area) minus structure. These systems suggest a new totality, allowing the work to become self-generating with its final effect chaotic and baroque. Excitement swims on the surfaces and further within are the accumulated deposits of Lerma's self awareness. Recently, in Lerma's studio, large unstretched canvases are stapled to the walls, covering nearly every vertical surface. Immediately, one is struck by a painting which depicts a striding Alberto Giacometti sculpture, painted in heavily impastoed dark pigment. References to Giacometti have featured in Lerma's past work and performances, stemming from an inside joke of sorts and then compounded by the potency of the image itself. This intersection of the personal and art historical holds Lerma's interest for its potential to generate an aesthetic. 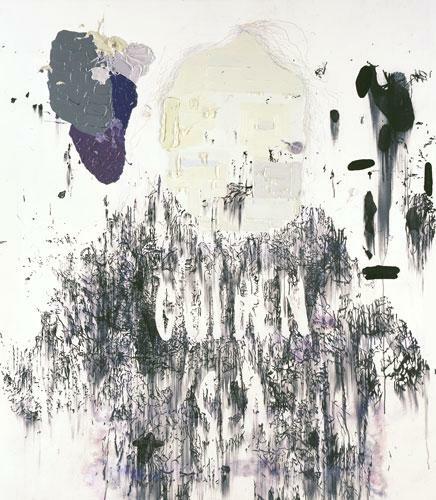 Following an immersive study of the paint strokes of the great Abstract Expressionists, Lerma disputes the wide assumption that abstraction is inherently aggressive because of a supposed frenzied activity. 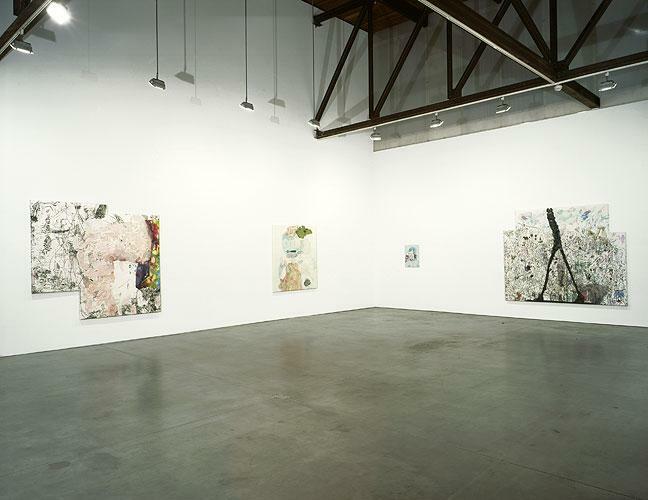 His wager and interest is that abstracting actually derives from extremely quiet and slow painting. 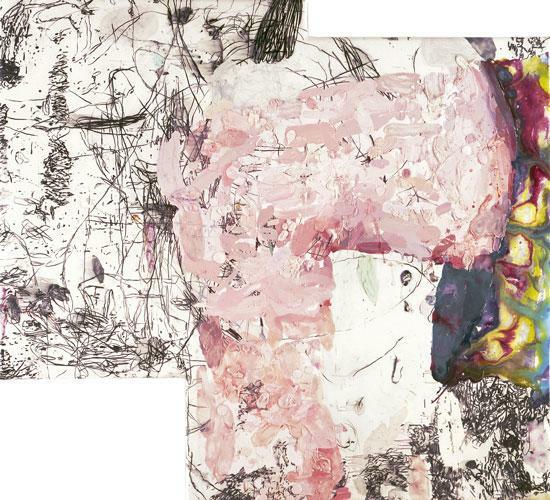 In this vein, although the end result is thoroughly excited, Lerma's strokes are very controlled, almost a simulation, somewhere between a pseudo gesture and the real thing. Not created from a theater of violence, aggression lies only in Lerma's choices of what to negate. 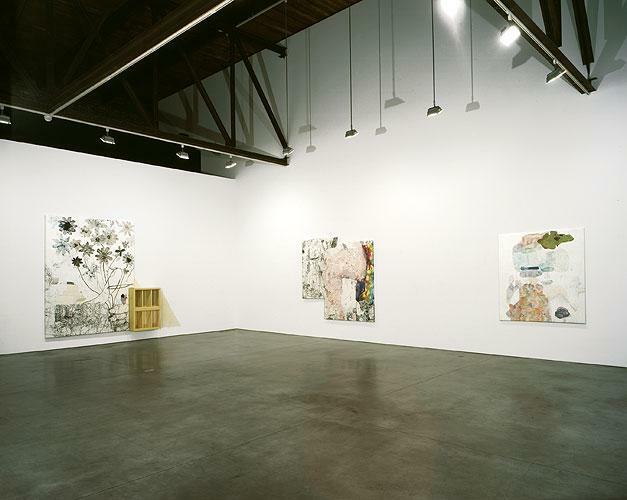 In late 2002 Lerma abandoned installation, video and photography to concentrate solely on painting. To shield what was considered unpopular at his residency at the time, he erected a partition to seclude the paintings. These first explorations in paint were charged with a supple tension between the heroic and pathetic and the main protagonist was taken from self portraits made as an adolescent. Located somewhere between the therapeutic and a desire to shun cleverness, a positive letting-go emerged. Past events were accessed and conveyed in a way that seemed not anchored in language but conveyed the visceral. Traumatic and awkward – this visual equivalent of stuttering or stumbling felt eloquent. José Lerma was born in Spain and grew up in Puerto Rico. He studied political science at Tulane and went on to study law at The University of Wisconsin, Madison. In Wisconsin, a few months shy of graduation, he switched his major to art. Subsequently he was granted a year-long residency in Puerto Rico, participated in Skowhegan and most recently completed the Core Program (affiliated with the Museum of Fine Arts in Houston, TX). Last year he moved to New York. Since his Gallery 2 exhibition, he has had solo exhibitions with Galerie Xavier Hufkens in Belgium and Galleria Il Capricorno in Italy.